Chicago, IL, February 6th, 2017: The Hashimoto’s Encephalopathy SREAT Alliance (HESA) is a 501 (c) (3) non-profit organization, started in 2012 by co-founders, Nicola Nelson and Susan Foley. After both women were affected by the condition commonly known as Hashimoto’s encephalopathy, the women embarked on a mission to collect, archive, and share information on the condition, and offer emotional support to patients, families, and caregivers. This mission was furthered by the publication of the book published in 2013, “Understanding Hashimoto’s Encephalopathy: A Guide for Patients, Families, and Caregivers”, (available on Amazon.com). “HESA could not be more proud to contribute a portion of our donations and proceeds from both of our books to help further research into autoimmune encephalitis, and by proxy, Hashimoto’s encephalopathy, through AE Alliance,” said Executive Director, Susan Foley. “The AE Alliance is proud of the long-standing relationship with the Hashimoto’s Encephalopathy SREAT Alliance. We are grateful beyond words for HESA’s generosity. This collaboration allows both groups to look anew at imaginative ways to raise awareness on all autoimmune encephalitis fronts, fight this disease, and lessen the suffering of patients and their families,” said John Spencer, Executive Director of the AE Alliance. 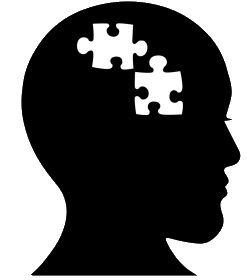 The Autoimmune Encephalitis Alliance improves the lives of patients with autoimmune encephalitis by promoting collaboration in clinical and basic research and by creating a community of patients, families, and caregivers so that no one faces autoimmune encephalitis alone. The AE Alliance strives to find a cure for autoimmune encephalitis through multi-disciplinary, collaborative research, and clinical care. The AE Alliance is a 501(c)(3) non-profit and all services are free of charge. For more information visit www.aealliance.org. 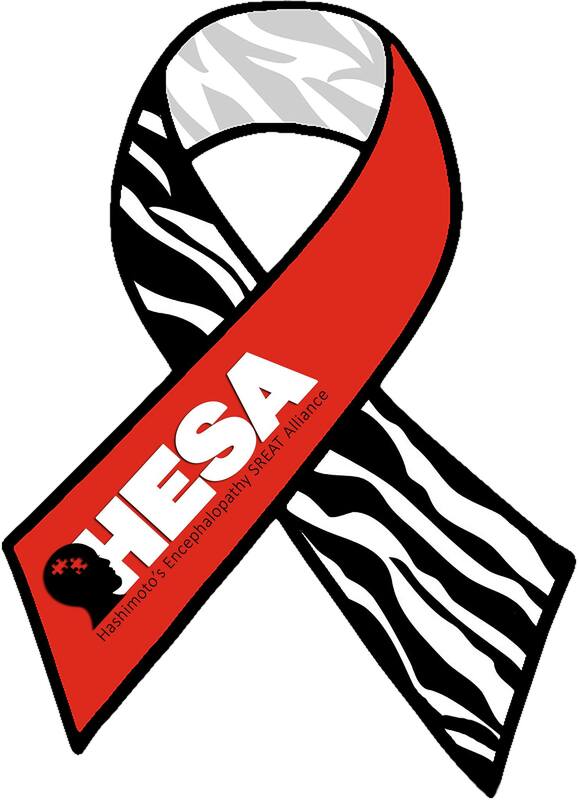 To learn more about the Hashimoto’s Encephalopathy SREAT Alliance and mission, please visit http://hesaonline.org. As folks in our support forum may know, we are happy to work with The Cambria Lord Foundation on their #Wear4Rare365 campaign this year. The campaign seeks to create a national (United States) emergency room database, giving ER doctors around the U.S. access to rare disease treatment protocols. We encourage our #HEFamily and other autoimmune encephalitis patients to get involved either by joining our #Wear4Rare365 day by submitting your story or by contacting the appropriate autoimmune encephalitis group working with The Cambria Lord Foundation. Our #Wear4Rare365 awareness day will co-incide with our annual #Dazzle4Rare day on August 18th, 2017. We look forward to hearing from as many of you as possible to help accomplish this amazing and potentially life-saving goal! If you’d like to get involved, you can email HESA via our “contact” page. This NIH/GARD video gives some general tips for those who are seeking a medical diagnosis. The companion fact page is located at https://rarediseases.info.nih.gov/resources/pages/24/tips-for-the-undiagnosed. Genetic counselors from the Genetic and Rare Diseases Information Center give advice on how to find a disease specialist. The patient guide can be found at https://rarediseases.info.nih.gov/resources/pages/25/how-to-find-a-disease-specialist.